Inheriting from Smoant Battlestar family, the Smoant Battlestar Squonker RDA is a powerful dual coil RDA tank with 24mm diameter. Constructed by durable SS304 and brass, the Battlestar RDA looks very exquisite. Aimed to be an excellent RDA, the Battlestar features a dual post build deck with a deep juice well for easy coils building. 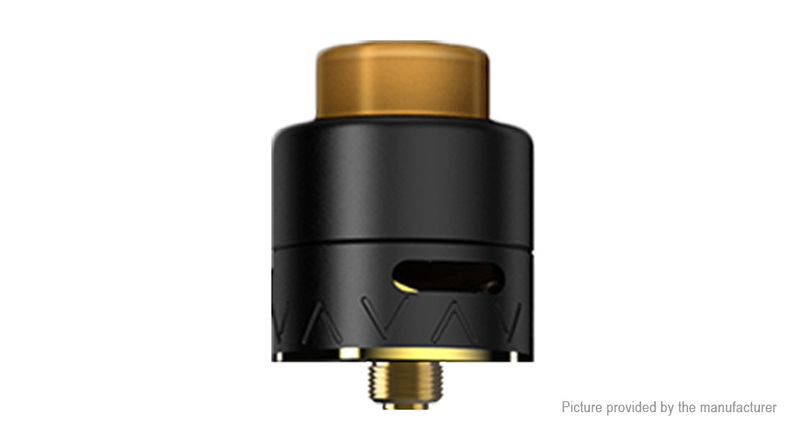 Plus the adjustable side airflow and Squonker pin, the Battlestar RDA is definitely your best choice for flavor.